Six Sigma and Lean Six Sigma vs Lean - Which Way to Go? TXM Lean Solutions > Blog > Lean Methodology > Six Sigma (and Lean Six Sigma) vs. Lean – Which way to go? Next to Lean, Six Sigma is probably the most popular process improvement methodology in the world. As a business starting out on the improvement journey, it can be hard to decide which approach to take. 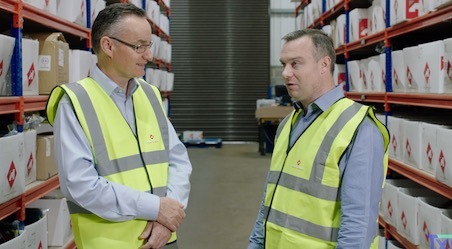 At TXM we are committed to a Lean approach because we believe it is the most effective way to drive process improvement through an organisation. However most of our team also have training in Six Sigma and we do assist some customers in deploying a Six Sigma or Lean Six Sigma approach. Both methodologies have similar origins, the post war Japanese manufacturing miracle and western efforts to emulate it. So what are the differences and relative merits of the two approaches? As lean practitioners, we define waste as everything that happens in a process that does not add value to the customer. Essentially if the customer does not pay for it, then we look to challenge it. Six Sigma places heavy emphasis on the reduction of variation as a source of waste. Even the name, Six Sigma, is a reference to the range in a normal distribution in which 99.999% of outcomes are expected to fall (i.e.. the amount of variation in a process). 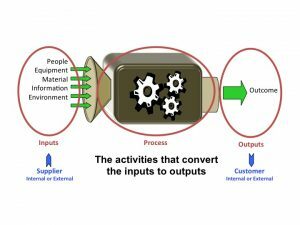 Variation is an important source of waste, and Six Sigma will help us reduce variation and waste in a process, but what if the process itself is waste? What if it can be redesigned to radically reduce cost, lead-time or quality problems? Lean Six Sigma draws a number of Lean tools such as value stream mapping in to the Six Sigma toolbox to provide the “Black Belt” with the necessary techniques to address waste more broadly. On the other hand, Six Sigma offers some useful tools to the Lean practitioner. While simple qualitative problem solving and root cause analysis is great and will address most problems, knowledge of the more advanced statistics based problem solving tools such as run charts, design of experiments and regression analysis can be invaluable in solving highly complex and intractable problems. We also find some of the “Six Sigma” process analysis tools such as SIPOC useful, particularly for office-based processes. The biggest problem I see with Six Sigma programs is that they often fail to engage line leadership. The Six Sigma ‘organisation” is usually set up as a ‘staff” function reporting in at senior level. Line managers are expected to deliver a level of improvement and are offered “Six Sigma Resources” to achieve these improvements. However in my experience, the Six Sigma team are often frustrated because they cannot get line management interested in what they are doing and the projects on offer don’t always suit the “tools” they have. Line management are frustrated because they feel that the requirement to run Six Sigma projects is imposed on them and that the Black Belts are too choosy about what projects they want to focus on. As a result Six Sigma is seen as “another corporate initiative” and “extra work”. The root cause of this disconnect between the Six Sigma Team and Middle Management goes to the “Lean Leadership” discussion that has been raging in Lean circles over the past five years. Six Sigma often ends up being used as a means of delivering improvement tools rather than a driver of overall cultural change. It is essential that any improvement effort aligns directly with the business strategy and the daily process of creating value for customers. Because Six Sigma connects to the organisation at the top and is trying to deliver change at the front line, there is often a disconnect and misalignment in the middle. Front line managers are primarily focused on leading their people to deliver value for customers every day. Improving this every day process is what will help them the most. A better approach, typical in “Lean” deployments, focuses on reducing waste in the main product value streams and building foundations of process stability. The Line Manager will “own” the value stream future state action plan and the project. The selection of the future state value stream objectives (to reduce cost, reduce lead time, improve quality or all of the above) will usually be driven by the business strategy. As a result there is a direct connection between the Line Manager’s every day job, the things he is measured on and the improvement actions being taken. The link between the strategy, the improvement initatives and the manager is then his A3 Plan and the company’s policy deployment process. Bulk Training of Staff in Lean and Six Sigma is a Wasteful and Ineffective Use of Resources. A key area of debate between Lean and Six Sigma practicioners are the relative merits of their problem solving “cycles”. In lean we use a “Plan-Do-Check-Act” approach, while in Six Sigma the approach Is “Define-Measure-Analyse-Improve-Control”. Really the two approaches have a lot in common. Their common parent is the use of scientific method to solve problems in business. PDCA is a simpler, more straightforward approach and we would see it as being used to solve the overwhelming majority of problems in a business. PDCA problem solving can be driven down to every level of the organisation and be used to solve dozens of problems every day. DMAIC is a much more detailed and rigorous approach. It is very effective for solving big complex problems. Problem solving will generally need to be lead with someone with some technical skill. In Six Sigma terms, this person will at least be a “Green Belt”. Six Sigma and Lean Six Sigma have a lot to offer. The advanced statistical tools for analysing problems, and some of the process analysis tools are very effective and useful. The DMAIC problem solving cycle is also a very thorough and rigorous approach for solving big, complex problems. For very large organisations (such as GE), where achieving overall cultural change is not a realistic objective, Six Sigma is an effective way to drive a level of process improvement through the business. As I said at the start of this blog, at TXM we believe that a Lean approach is far more likely to lead to sustainable transformational change in your business. I usually summarise this by describing Six Sigma as a way to run a process improvement program, while Lean is a complete management system to run your business by. There is some anecdotal evidence that adoption of Six Sigma and Lean Six Sigma are declining, including in some of the companies that developed it such as GE and Honeywell. However it is built on some sound theory and practice and so, even if you adopt a Lean approach for your business transformation (as we recommend) an awareness and knowledge of Six Sigma approaches will still be valuable to your business.